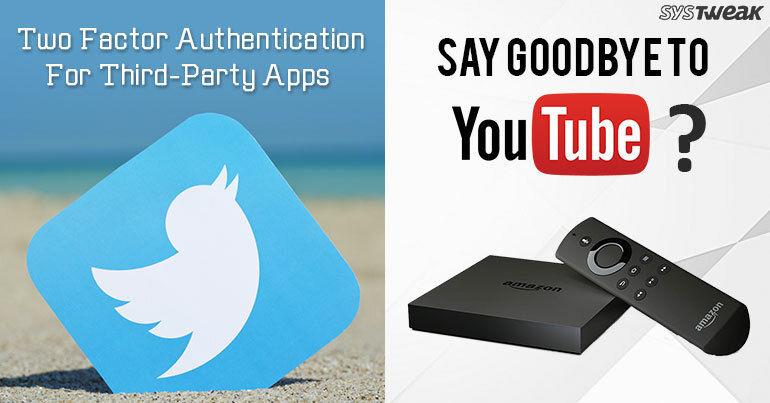 Twitter now allows you to get two-factor authentication code on third-party apps. WHAT CAN THIRD PARTY APPS BE USED? Twitter promulgated a significant change in handling two-factor authentication for new logins on its service. Now, it allows you to use third-party apps for two-factor authentication as another option apart from SMS. The change is a smart move from the security perspective. As SMS is not as secure as third-party apps that support two-factor authentication. Moreover, SMS is a carrier specific service which might not work while a user is traveling internationally. Apps like 1Password, Google Authenticator, and Authy are not affected by location, carrier and also can generate codes offline, so you can use two-factor authentication easily. Well, Twitter will still have SMS for logins as default but it will also provide instructions for using other alternatives. Go to Profile icon in the top menu and tap Settings and Privacy. Tap Account and click Security. Toggle the slider beside Security app to receive a code through a separate app. Read instructions carefully and tap Start. Input your password and tap Verify. You can initiate the setup process by tapping Set up Now. Now follow the on-screen instructions to complete the setup process. Once, it is done, you will get a Try it Now message. Generate a code via third-party app and enter it and tap on Verify. Mozilla announced that Firefox browser will be now available on Amazon Fire TV. WILL FIREFOX SERVE AS A WORKAROUND? There has been a strain on Google and Amazon’s relations as they both have issues regarding the right to stream videos from YouTube. No solution has been surface to overcome the issue. Today Mozilla announced that Firefox browser will be made available on Fire TV devices. With the release of the browser, there is a possibility that you might be able to use YouTube on Fire TV devices. The company wrote, “Once installed, you can launch popular video websites, like YouTube, load any website address, and search the web for videos to play full screen on the Amazon Fire TV and Fire TV Stick.” When The Verge asked about the possibility of accessing YouTube, a Mozilla’s representative affirmed that you will be able to view YouTube content on Amazon’s Fire TV devices via Firefox browser. WHEN WILL GOOGLE-AMAZON FEUD END? Amazon and Google’s vendetta started when Amazon decided to remove Chromecast devices and then Nest products from the web store more than two years ago. Google in return announced to remove YouTube’s access from Amazon’s Fire devices. Amazon’s step to bring back Google and Nest devices is an initiative from the e-commerce giant to reconcile the relationship. However, the news was announced after Google’s announcement of pulling YouTube from Amazon Fire TV devices on January 1st. Amidst this tug of war, companies are making their customers suffer, who use both Google and Amazon products. Well, after Amazon’s move, both the companies are ready to resolve the issues between them. Although, it doesn’t confirm whether the access to YouTube would still be continued on Amazon Fire TV devices or not. ISN’T IT A GOOD DECISION? Well, nobody could predict, what Google would decide about YouTube access or how will it react to Firefox’s action. But one thing is clear as a crystal that Firefox would certainly get a hype as it will also improve the repute of the browser in the market. This will certainly reduce the disappointment of the customers who have already bought the Fire TV devices and also won’t let the sale go down just as they will not able to access YouTube on it. Installing Firefox will resolve all the ongoing issues for a while.